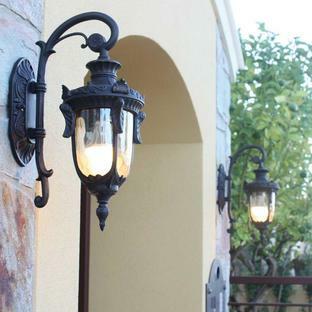 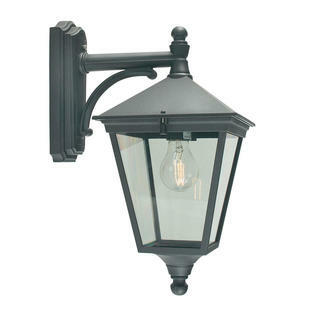 Outdoor Wall Lanterns with Belle Epoque styling. 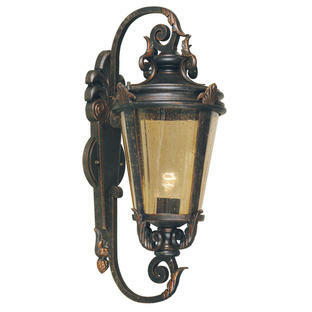 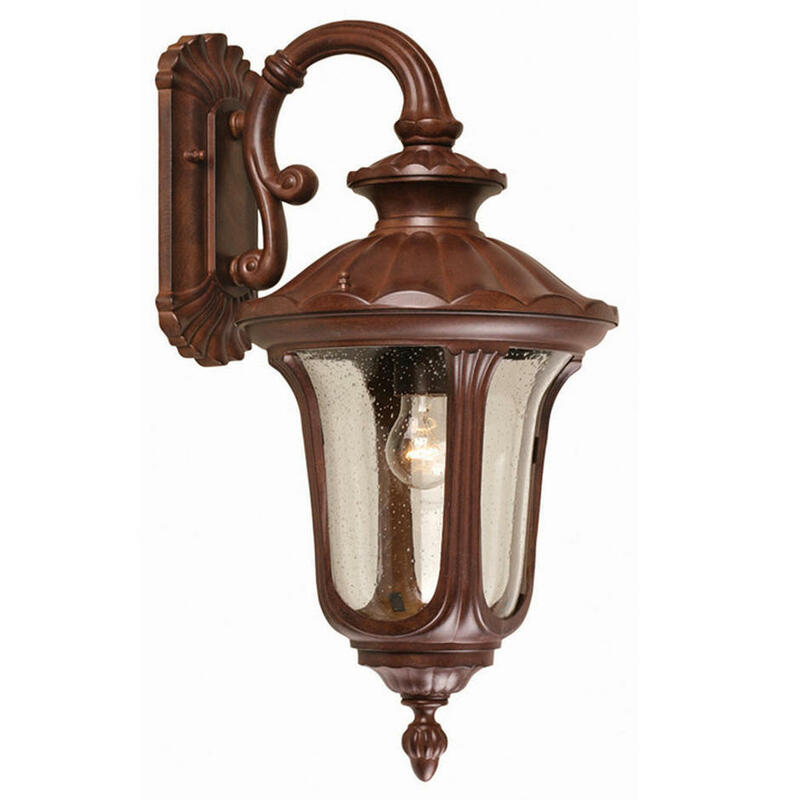 Chicago outdoor light fittings take their influence from the Belle Epoque era. 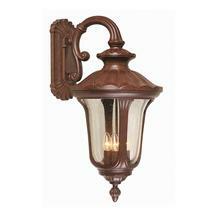 Elegant lanterns with clear textured glass lens and each hand-finished with a rusty bronze patina. Also available in the same collection are hanging lanterns, pedestal lantern and pillar/post lanterns.